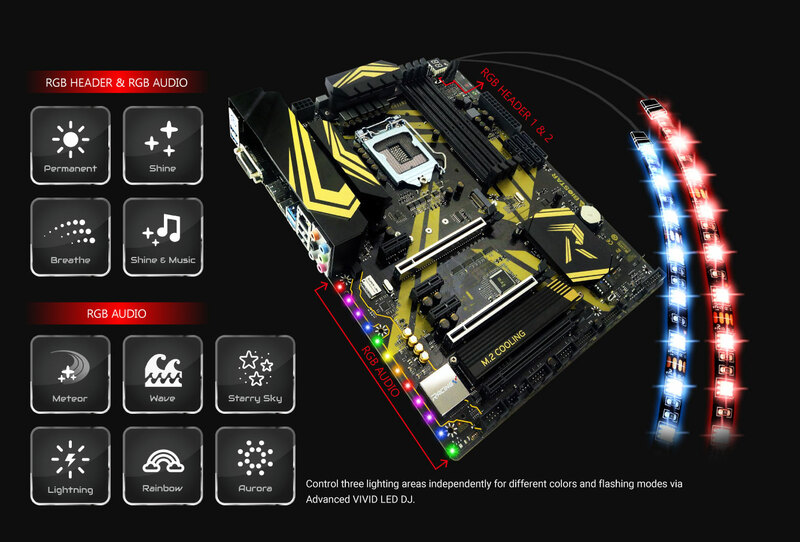 BIOSTAR introduces RACING Z370 Series gaming motherboards, the 3rd generation of the popular BIOSTAR RACING Series that maximizes the potential of Intel's 8th generation Core desktop processors for gamers, overclockers, professional content creators and modders. 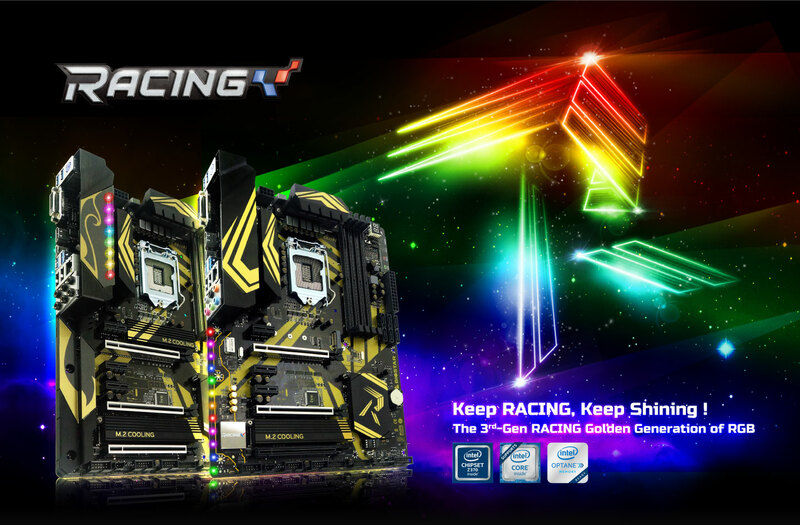 The RACING design has evolved with a brand new look; it now sports a fashionable gold and black luxury theme that is "tattooed" throughout the motherboard's PCB and heatsinks. In addition, the RGB lighting is much more vibrant and Advanced VIVID LED DJ giving users more lighting control than ever. 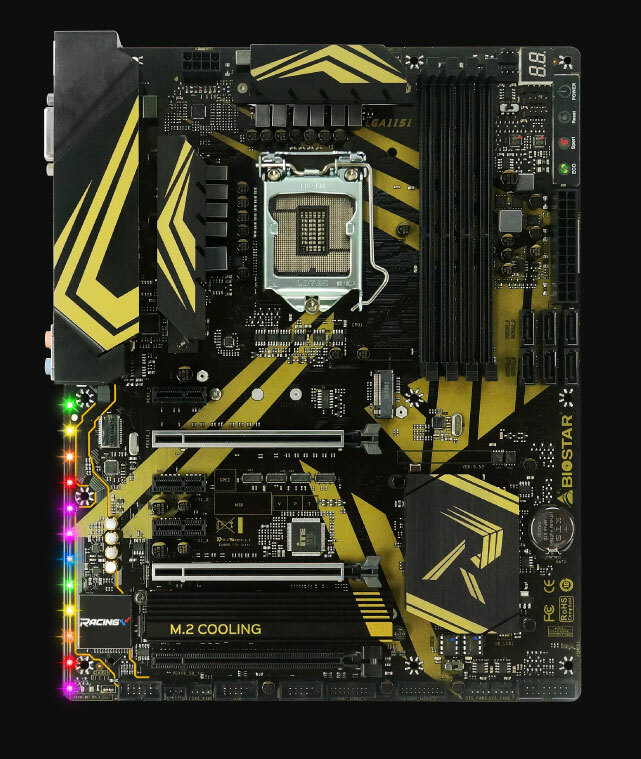 The hardware has gotten stronger and more powerful with superior solid capacitors, dual-BIOS, PCI-E solid protection and more to keep gaming and media applications running smoother without hiccups. LED enthusiasts can create their exclusive RACING system to show strong personal style by Advanced VIVID LED DJ with more customizability and options to control three RGB LED lighting zones independently, including audio area and 5050 LED FUN ZONE with two 5050 LED headers. Users can control color, speed and brightness via 10 different flashing modes with ease. The Advanced VIVID LED DJ utility boasts more possibilities for users to create unlimited creativity with 5050 LED FUN ZONE which comes with dual RGB LED header configured to install different LED products. More RGB possibilities to create unlimited creativity! 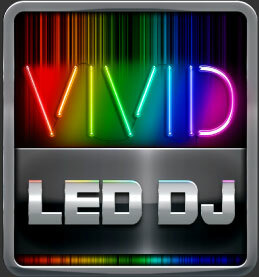 Let's party with BIOSTAR Advanced VIVID LED DJ! PC enthusiasts can make sure that their gaming system can maintain its best performance while full-load operation and immersive gaming. According to different cooling needs and usage scenarios, users can control speed modes from Quiet to Full On. 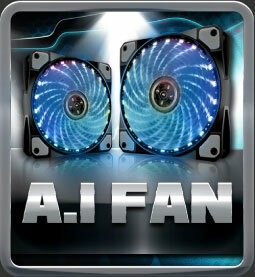 The new intuitive and easy-to-use A.I FAN utility smartly allows users to have more customizability of fan modes and automatically detects different temperatures to make you control the states of your system. To top it off, A.I FAN lets you adjust fan curves on the UI to define the specific speed corresponding to the specific temperature for optimal cooling performance with ease. 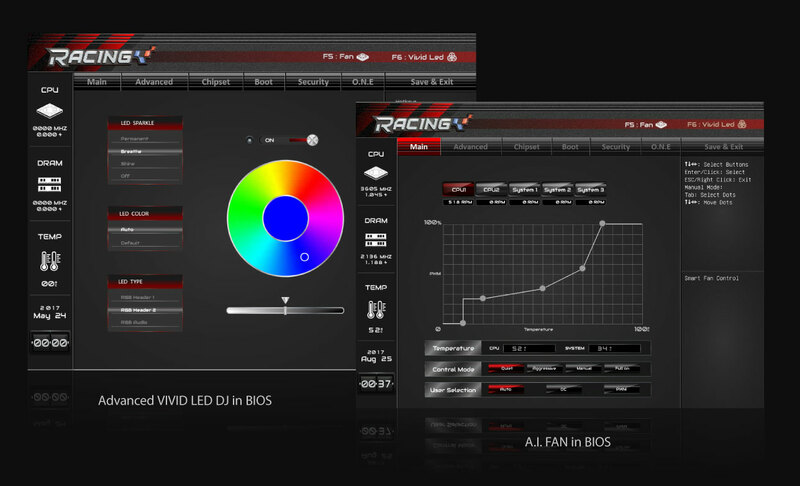 Advanced VIVID LED DJ and A.I FAN utilities are integrated into the whole new 3rd-gen RACING Series BIOS interface to meet different user needs and usage scenarios. The new RACING BIOS UI boasts much more simply intuitive interface designs and system information bar to show instant computing states clearly. Users can adjust settings without having to load Windows. 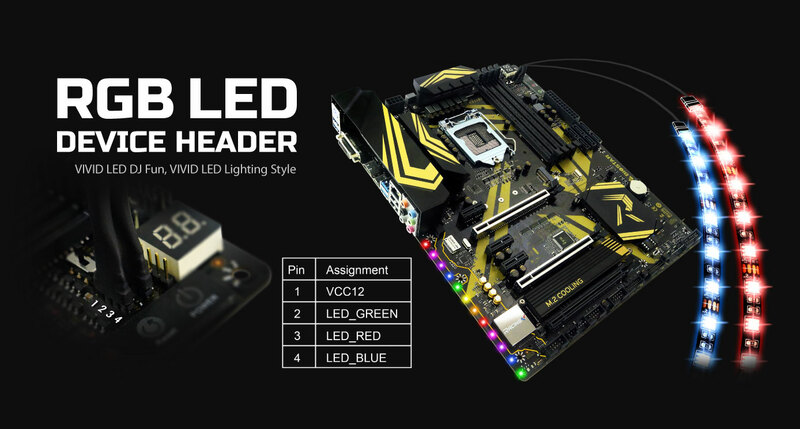 The Advanced VIVID LED DJ with four RGB flashing modes in BIOS allows LED enthusiasts to define their PC color schemes and exclusive personal styles. With the fan curve design users can control fan modes with ease to ensure that their heavy-load systems operate with the best cooling performance without any annoying thermal problems. 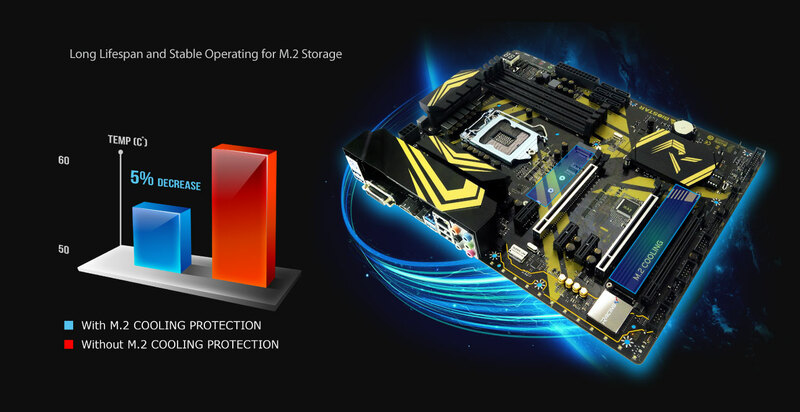 RACING Z370 motherboard boasts dual M.2 slots and gold M.2 heatsink featuring ultra-high cooling efficiency to protect the M.2 connector area and the chipset area from thermal problems and extend M.2 slots and M.2 storages' lifespan for long-term and stable operation. 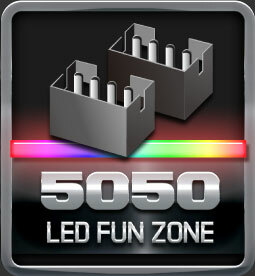 The 5050 LED FUN ZONE comes with two 5050 LED headers to bring more colorful lighting options to DIY lovers. RGB enthusiasts can fully enjoy DIY fun of creating their own systems with uniquely and strongly personal style with LED strip, RGB fan or any kind of LED product to adjust system color scheme by Advanced VIVID LED DJ utility. VIVID LED DJ fun, Vivid LED lighting style! 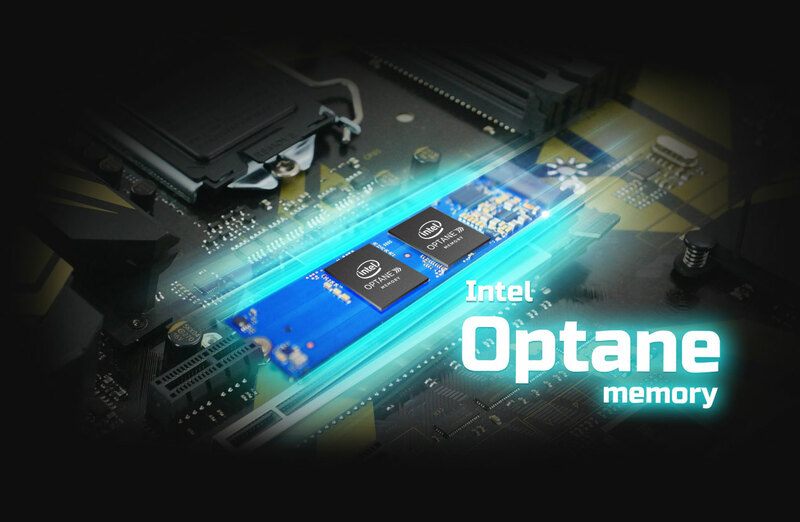 BIOSTAR 3rd-gen RACING Z370 Series motherboards all support Intel Optane memory technology to refresh the performance of your PC. 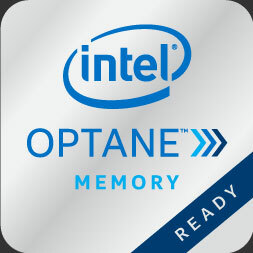 Intel Optane memory can accelerate traditional storage devices to reduce boot times and improve the overall performance, like a brand-new system. 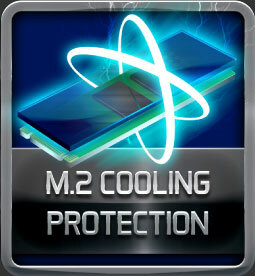 This revolutionary memory technology transforms your old PC to a performance monster without expensive SSD.